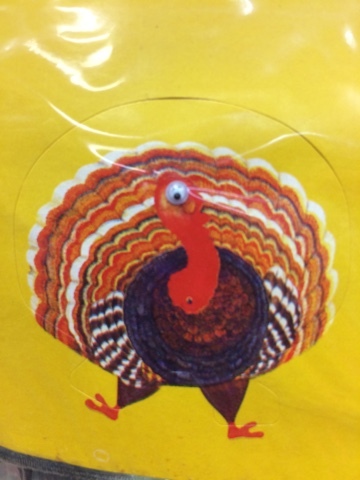 I found these Thanksgiving stickers at a local dollar store recently and fell in love. 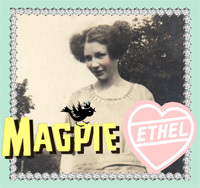 As a child of the '80s, I certainly had (and still have) my share of stickers. These seemed almost too good to be true. My favorite part is that they are from the 1990's and have made their way to this store. Do they even stick? No clue. But with eyes like these, who needs stickiness? 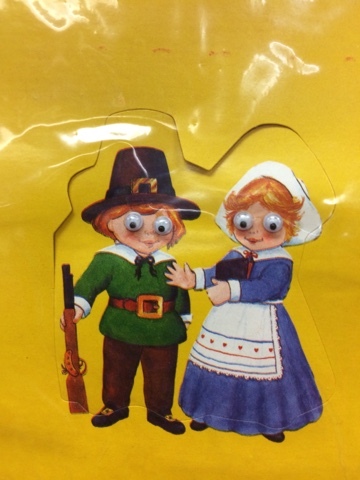 Were the Pilgrims really this surprised? The turkey looks on in horror. 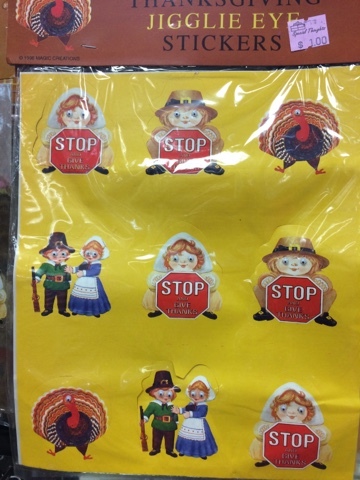 I question whether they really had stop signs back then. I didn't purchase these treasures, but had to share. 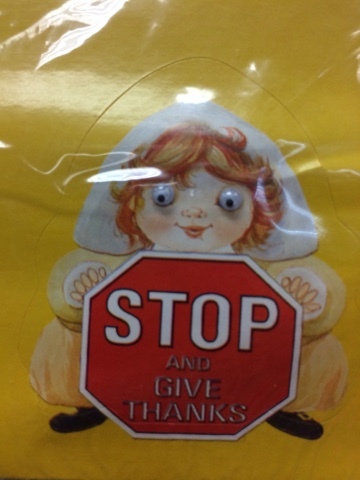 Nothing shares the spirit of Thanksgiving like googly eyed, stop sign toting pilgrim and turkey stickers.